Creating desire or engaging your tribe, your marketing message has many new tools, opportunities and insights and a whole lot of noise to cut through. 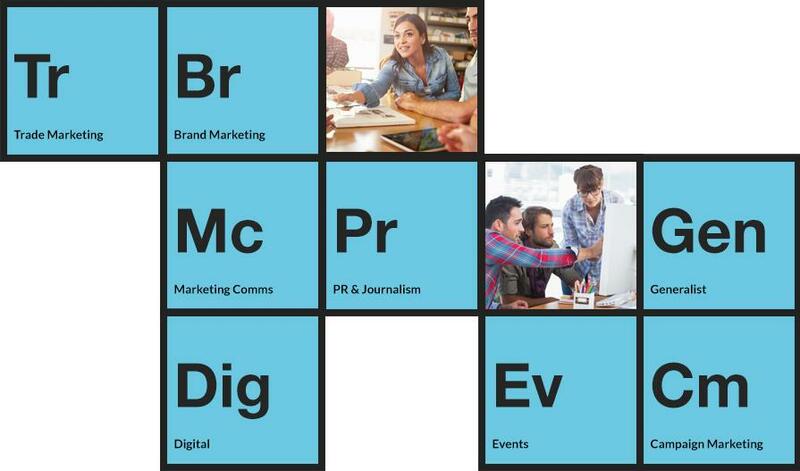 Digital has challenged and will continue to change the marketing landscape forever. Charged with constant innovation, the creation of advantage through creativity stokes the passion in marketeers, and with it come the rewards of being part of a team that launched this, created that or engaged the world. With such a huge number of individual roles within the sector we have split our services into broad areas. We fill roles in start-ups, SME’s and multi national corporations. Internal comms, brand management, channel or trade, take a look at our vacancies to see if we have an opportunity to engage you. I'd just like to say one last big thank you for helping me find my dream role. You've been great!!! As you know I've been in contact with several other agencies and none of them have shown anywhere near the same level of support, encouragement and enthusiasm as you have. I've already recommended you to all my colleagues and friends!!! I'll be sure to let you know my progress!!! Firstly I would like to say how helpful you guys are. Not only did Nikki cater to my professional needs but she understood what I wanted from a role, what was important to me professionally and what kind of employer would suit me. Emotionally Nikki supported me exceptionally. Her interpersonal skills were brilliant and even when there was a lot of stress, she kept me relaxed and confident. I would recommend Creative Mettle to anyone and will definitely seek their help if need be in the future. The individuals that register with this employment agency are always unique and have that extra ‘something special’ allowing them to shine. Offering a first-class service, we look forward to receiving details of their existing and new candidates and find that the experience, skills and strengths that we are seeking to join our Company are often to hand. Recruiting our last 4 new people from this agency has been a pleasure. David, Nikki and the team at Creative Mettle are always available just when you need their services!